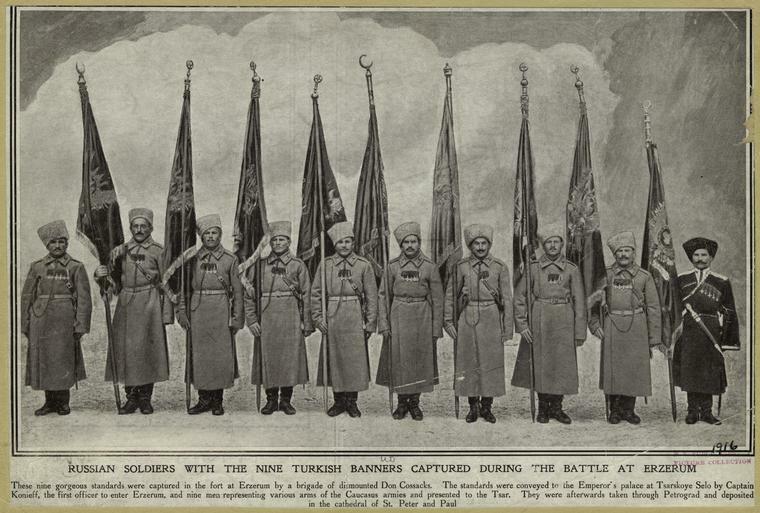 On February 16, 1916, Russian troops captured the fortress town of Erzurum in eastern Turkey. The Russian attack across the Caucasus mountains had taken the Turkish army by great surprise. Erzurum was the lynchpin of Turkish defenses in eastern Anatolia. Its fall was a disaster for the Turks, undermining their whole position in this sector. The hasty retreat from Erzurum allowed the Russians to capture large numbers of guns and military supplies. 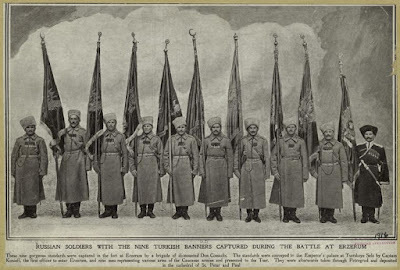 The Russians also captured several Turkish banners. Turkish losses of men were considerable: to the 5,000 men taken prisoner must be added another 10,000 casualties and as many as 10,000 soldiers who had deserted from the army. After the fall of Erzerum, the Russians pushed further into Anatolia, capturing the Black Sea port of Trabzon in April 1916. Not surprisingly, the Russian military success in the Caucasus mountains triggered reporters to cover this campaign. The war was also filmed by Russian cinematographers. At the time, the Skobelev Committee enjoyed a monopoly as the sole organization authorized to make official war films at the Russian front. The institution had little support from the Russian government. The committee’s war film department was led by Feliks Karu, who was unfamiliar with this kind of industry, and it lacked human resources. As a result, it had to hire skilled foreign workers from Pathé, such as cameraman Georges Ercole who featured before in this weblog. The Skobelev Committee never obtained the technical and financial means to cover the immense front line, especially as their camera operators were subject to military restrictions on the front. Despite these problems the output by the Skobelev official cameramen still is impressive. According to the Russian State Film & Photo Archives, since the outbreak of the Great War until 1917 the Scobelev Committee produced about 70 newsreels. From 1914 to 1915 cameramen of the Skobelev Committee produced 21 series of the newsreel Russian Military Chronicle. The footage for this newsreel was also used for separate films released by Scobelev Committee and other film companies. The films showing this stage of the Great War at the Caucasus Russian front are very interesting and reveal a remarkable high pictorial quality. We have uploaded scenes from these contemporary Russian war films on our YouTube channel. In April 2017 the Library of Congress will present a major exhibition to mark the centennial of America's entry into the First World War. As part of this effort, the Library has launched an ambitious project to digitize its vast World War I film collection. The exhibition Echoes of the Great War will show a selection of World War I films from the nitrate vaults of the Library of Congress. The Library has an extensive film collection on the Great War. There are hundreds of reels of U.S. Signal Corps film, propaganda films by the Commitee on Public Information, as well as contemporary newsreels. Cooper C. Graham was asked to make an inventory of World War I films in the Library's collection for this digitization project. A former film curator at the Library of Congress, Cooper knows his way around and while researching our book American Cinematographers in the Great War had already discovered some spectacular World War I footage in the film collection of the Library of Congress. As described in the December 2 issue of the Library of Congress Gazette - the Library's staff newsletter - the Library of Congress will digitize nearly 19,000 feet of 35mm nitrate film and 7,200 feet of safety film from its collection related to the Great War. "It was surprising to me how good it was", Cooper said in an interview with the Gazette, mentioning Signal Corps footage that he had seen on the American offensive at the Meuse-Argonne in 1918. "I thought it would be very amateurish. They had incredible shots of shellfire and very poignant shots of dead and wounded. I'd always heard that the World War I films avoided showing fatalities and blood and gore. Not at all." The Gazette newsletter also has more about our research on Wilbur H. Durborough's 1915 feature film On the Firing Line with the Germans which was restored and digitized recently by the Library of Congress. Here is a link to the Gazette newsletter and the interview with Cooper Graham - Courtesy: Mark Hartsell, Library of Congress. P.S: In March 2017, the Library of Congress published a magazine on the centennial of America's entry into World War I, which has an abridged version of this article. You can read and download this magazine here. 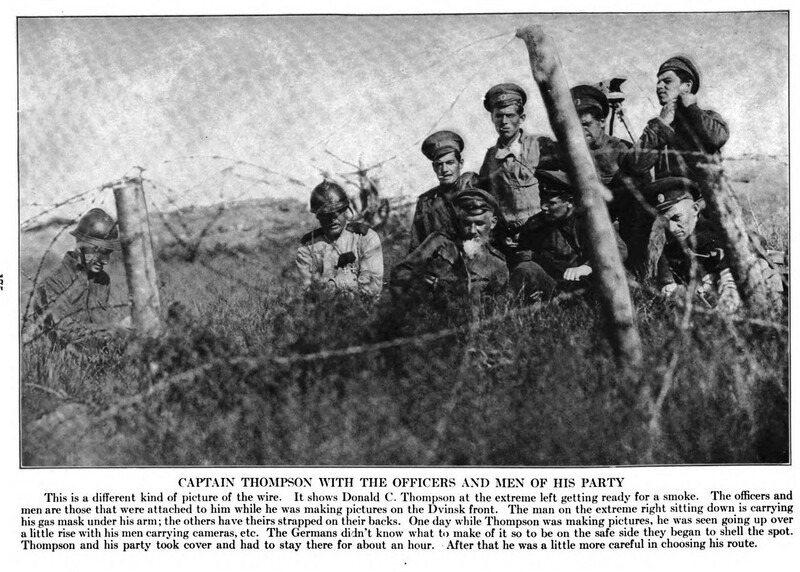 In 1917 American cameraman Donald C. Thompson was one of the few cinematographers to film the Russian Revolution. For many years the authors have been searching for his extraordinary film which covered a major historic event. Now finally we can say that persistence has paid off again. When Thompson reached Petrograd in February 1917 the city was the scene of riots and demonstrations against the Tsarist regime. He was on the spot with his film camera when the Petrograd regiments joined the strikers and a provisional government was formed. Thompson also covered the release of prisoners and the defense of the Winter Palace against the Bolsheviks. In the summer of 1917 he was present at the front to film the collapse of the Russian army. The title of Thompson's film is a good summary of its contents. According to him, the peace that Russia signed when the Bolsheviks took over was no fault of her own, but the result of German political intrigues and propaganda. How he conveyed this message in his film is described in more detail in our book American Cinematographers in the Great War. 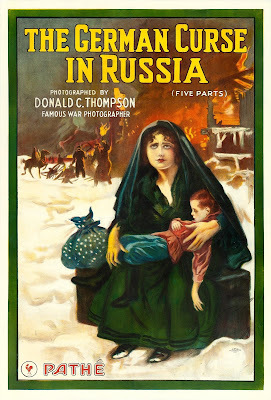 After a first run at the Strand Theater in New York The German Curse in Russia was released by Pathé in the USA in January 1918 as a five-reel production. We located parts of Thompson's movie in the Axelbank Collection which was used for the 1937 documentary From Tsar to Lenin. From 1920, Herman Axelbank assembled an impressive film collection on Russia, gathered from various sources. These included footage shot by several Russian cameramen. Surviving bills of sale show Axelbank also bought film sometime in the 1920s from the Jawitz Motion Picture Library in New York City, a stock film company. Although Pathé controlled distribution rights of Thompson's movie Jawitz somehow had secured Thompson's original footage, showing the events in Petrograd and Moscow during the Russian Revolution. Through Jawitz Axelbank bought Thompson's film (or parts of it) which was used by Axelbank in his edit for the sound documentary From Tsar to Lenin. 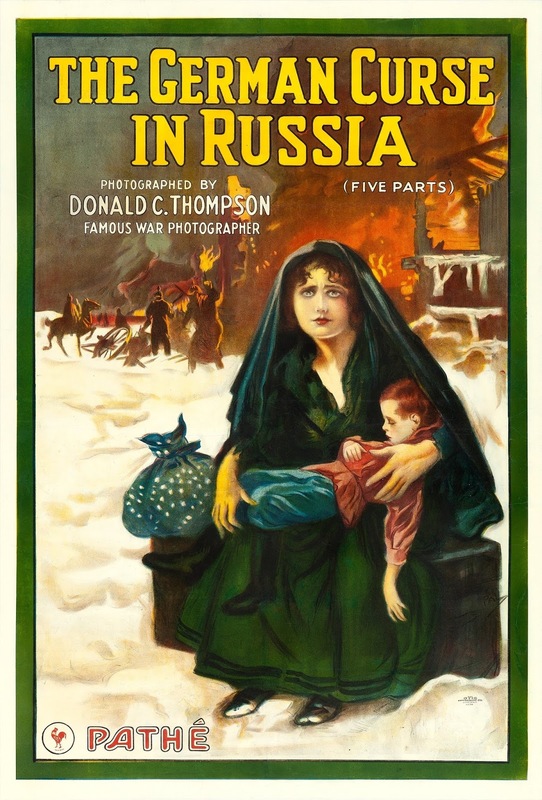 By comparing Thompson's photographs taken in Russia, as well as publicity pictures from his movie, we could do a reconstruction of scenes that were originally shot for The German Curse in Russia. Of special interest are shots showing the all-female combat units which were formed by the Provisional Government in 1917 in a last-ditch effort to inspire the Russians to continue the war against Germany. These Women's Battalions were filmed extensively by Thompson. Axelbank's films have a scene showing its commander Maria Bochkareva and British suffragette Emmeline Pankhurst, inspecting these young female soldiers. The scene has a full match with Thompson's pictures and was no doubt filmed by Thompson. Axelbank probably culled many additional scenes from Thompson's film such as sequences showing the burial of the victims of the February Revolution, the demonstrations on May 1, 1917 by the Bolsheviks and the rise of the Kronstadt sailors against the Tsar. Although we have no way of knowing for sure, the World War I battle footage from Axelbank's collection has a remarkable similarity with photographs taken by Thompson on the Dvinsk front in June 1917. These could also very well have been from his film The German Curse in Russia. Here is a link to photographs from Thompson's book The Crime of the Twentieth Century (1918) on the Russian Revolution. And now, after almost 100 years, we present you a rough reconstruction of The German Curse in Russia - how it may have looked, based on Thompson's still pictures and film scenes that were used by Herman Axelbank. Enjoy! Washington Post: "An American Filmed the German Army in World War I"
Recently Michael Ruane of the Washington Post contacted us about our World War I film research. Intrigued by the Durborough film On the Firing Line with the Germans (1915), Mike wrote a wonderful article about the making of this movie and the restoration by the Library of Congress. Here is a copy of Mike's story which was published in the Washington Post yesterday, accompanied by this clip from Durborough's World War I film. The young German soldier has his rifle slung over his shoulder, a half-eaten sandwich in his left hand and a drinking cup in his right. As he steps to the refreshment window, a woman in a white apron leans over the counter and puts a sprig of flowers in a buttonhole of his uniform. He looks dashing in his spiked helmet and trim mustache, and she glances at him as he moves on. Then she looks up at the camera. It is June 1915, 10 months into World War I. The place is Thorn — modern-day Torun, in northern Poland. And the soldier, whose name and fate are unknown, is headed for the front lines and the killing machine of the Great War. The moment was captured by a brash, cigar-smoking American filmmaker, Wilbur H. Durborough, and his cameraman, Irving G. Ries, who had motored to the action in a Stutz Bearcat flying an American flag, the word “press” emblazoned on the car. The scene is part of a little-known documentary about the German army — filmed by Americans — that will be part of an extended exhibit on World War I being assembled by the Library of Congress this year. April 6 marks the 100th anniversary of the U.S. entry into World War I in 1917. 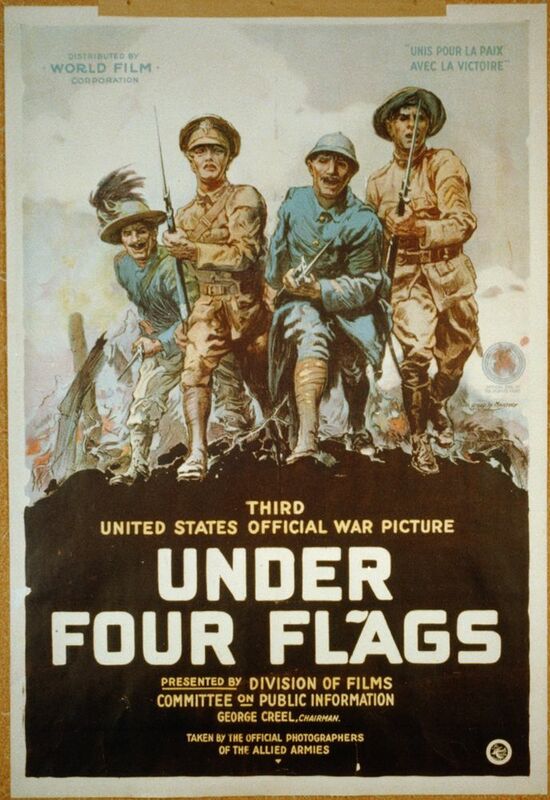 The library recently restored and digitized the silent film, which is believed to be the only existing, essentially complete American World War I feature-length documentary. It is an hour and 48 minutes long. Forgotten for decades, Durborough’s film, called “On the Firing Line With the Germans,” was discovered in a wine cellar of the estate of a Chicago businessman in 1985 and was eventually turned over to the library. The footage, most of it on old nitrate film, was examined one frame at a time at the library’s audiovisual conservation center in Culpeper, Va. It has striking scenes of youthful German soldiers before they became the enemy. Durborough captured them in camp, peeling potatoes, marching through Berlin, recuperating in hospitals, and fighting in apparent and simulated battle scenes. Many of the images are extremely clear, and the faces of the men and women extraordinary. He also captured scenes of Warsaw’s Jewish ghetto and vivid shots of Allied prisoners of war — British, Russian and French, some still wearing 1860s-style caps and uniforms. There are shots of the German emperor, Kaiser Wilhelm II. And there are scenes of Durborough — in the Stutz with cigar and driving goggles, shaking hands with German officers, chatting with German soldiers and standing in the trenches. Indeed, Durborough, like the famous Civil War photographer Mathew Brady, appears in many of the shots he set up. “He just inserts himself everywhere,” said Lynanne Schweighofer, a Library of Congress preservation specialist who helped reassemble the film. In mid-1915, the war, which lasted from 1914 to 1918, already had claimed tens of thousands of soldiers as Britain, France and Russia were locked in horrific conflict with Germany and its allies. America was still neutral. And although the Germans held some advantage in the fighting, they felt they were losing the public relations contest, according to a study of the documentary by film scholars James W. Castellan, Ron van Dopperen and Cooper C. Graham. Meanwhile, in 1914, Durborough, a seasoned newspaper photographer from just outside Dover, Del., had been assigned by Chicago’s Newspaper Enterprise Association, a news service, to photograph the war. Then 32, Durborough was an ambitious go-getter who had worked for the Philadelphia Inquirer and the Chicago Examiner. He had covered strikes and conventions and had met Mexican revolutionary Pancho Villa. He took the job but asked whether he could shoot moving pictures, too, even though he had little movie experience. The association declined to pay for filming but said he was free to make a documentary as long as it didn’t interfere with his photo assignment. Durborough got a group of Chicago business executives to invest. They hired Ries, an experienced cameraman who spoke German, and bought the Bearcat, then one of the fastest cars on the road. 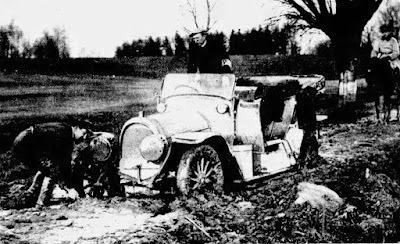 And with a green light from German authorities, who were hungry for good publicity, Durborough, Ries and the Stutz sailed for Europe in early 1915. Deep in the film center’s underground vaults, built into a hillside in Culpeper, concrete vault No. 53 holds, among other rare films, 42 reels of Wilbur Durborough’s documentary. “This is all Durborough,” Geo. Willeman, the nitrate film vault manager, said recently as he gestured to multiple shelves. The documentary and others made on highly volatile nitrate film are protected by fire alarms, smoke detectors and fire suppression systems. The temperature is kept at 39 degrees, the humidity at 30 percent. In late 2014, Schweighofer and colleague Valerie Cervantes began poring over the film, guided by research done by Castellan; Graham, a retired Library of Congress film curator; and van Dopperen, who had mapped out a likely sequence of the scenes. But many scenes were repetitive or captured on film that was damaged or in poor condition. The task was done using a hand-cranked frame viewer at a spartan “rewind bench” in a special nitrate-film workroom decorated with images of movie stars. One expert would study the scenes, while another took notes on content and condition. Once the best scenes had been selected, the film was sent to the library’s laboratory to be cleaned, repaired and stabilized. The film was then digitized. Willeman noted one scene in which German soldiers are obviously singing and enjoying themselves as they gather in front of a railroad car around a man playing an accordion. Before it was over, World War I killed more than 2 million German soldiers. But in June 1915, everybody looks happy at the refreshment stand in Thorn, run by the Vaterländischer Frauenverein, a patriotic women’s group. In the scene, about 20 minutes into the film, the women at the stand walk among the soldiers, who are heading for the Russian front, handing out flowers and snacks from baskets. As the young soldier with the mustache moves along, a woman pours a drink into his cup, and another gives him a kiss on the cheek. He looks about 20, and, after the kiss, disappears from the frames. He was one of thousands of soldiers Durborough and Ries filmed — most of them young, well-groomed and in clean uniforms, untarnished by combat they had probably not yet experienced. It is only near the end of the film that the soldiers look grimy, tired and unshaven, in the wake of a battle, and where Durborough has extensive footage of ruined towns and refugees packed into rickety wagons on muddy roads. And it is there that Durborough stops appearing in the film. Durborough and Ries got back to the United States on Sept. 30, 1915, according to Graham, Castellan and van Dopperen’s study of the film. The film was first shown in Milwaukee on Nov. 28, 1915. It began a long run in Chicago that December. Newspaper ads described it as “The Motion Picture Scoop of the War!” Durborough often appeared at the showings and gave lectures. One promotional poster featured a portrait of the kaiser. From Chicago, it began runs in theaters across the country. In Philadelphia in early 1916, Durborough arrived in the Stutz, driving it up and down in front of the theater where the film was showing, firing a gun to get attention. Interest in the film evaporated in 1916 and 1917 as tensions with Germany rose. The United States declared war in April 1917. 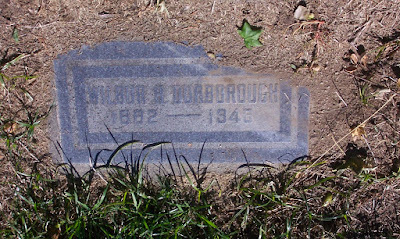 During the war, Durborough served as an Army public relations officer. Afterward, he gave up filmmaking and pursued various jobs in newspapers and public relations. He was the art director and head of photography at the Philadelphia Evening Bulletin in the mid 1920s. He left the paper in 1926 and launched a series of failed business ventures, including one as a medicine salesman. In 1931, his house outside Philadelphia went to a sheriff’s sale, according to Graham, Castellan and van Dopperen. 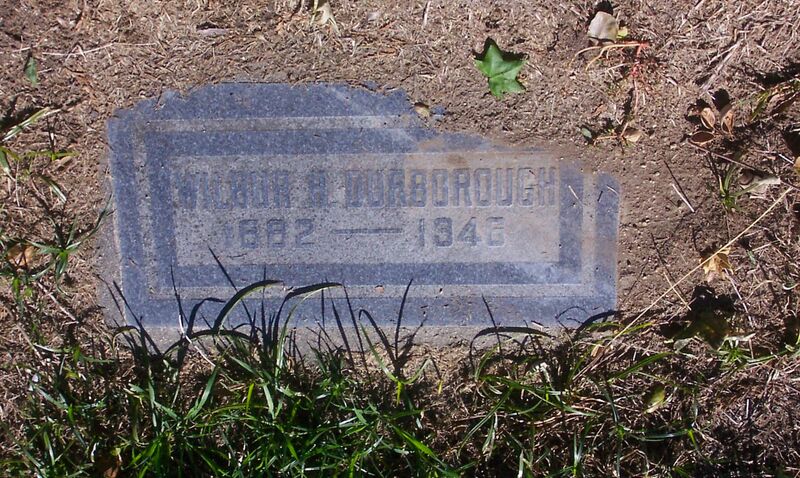 Durborough moved to Utah, then California, and died suddenly in San Bernardino in 1946 at age 63. Ries, for his part, stayed in the film business as a cinematographer and a special-effects expert. He was nominated, with two others, for an Academy Award for special effects in the 1956 science fiction movie “Forbidden Planet.” He died in 1963. The Stutz wound up in storage in a barn in suburban Cleveland and was sold off at auction during the Depression. Before he died, Durborough began outlining a novel based on his life. 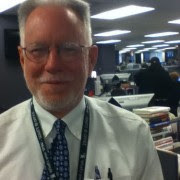 Mike is a general assignment reporter who also covers Washington institutions and historical topics.